Contact North Miami Beach Personal Injury Attorney Gerson & Schwartz, P.A. If you or a loved one has been involved in a slip and fall accident, the North Miami Beach slip and fall attorneys of Gerson & Schwartz, P.A. can represent your interests to ensure that your losses are fairly compensated. We have over 46 years of experience representing slip and fall accident victims in North Miami Beach and the greater Miami area. Our lawyers have represented clients in nearly every slip and fall scenario. From slip and falls in restaurants, accidents in department stores, and other serious injuries due slippery surfaces. Slip and falls can cause serious and life changing injuries. Our lawyers have compassion and seek justice for client’s that are seriously injured due to the negligence of others. All personal injury consultations are free. There are also no attorney’s fees unless we collect. So, if you were injured in a slip and fall in North Miami, or you live and work in the area call us today for a free consultation. North Miami Beach was built on a proud history of resilience. 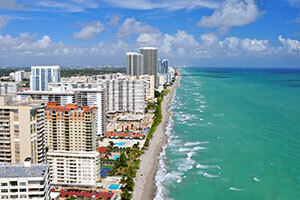 After the hurricane of 1926 ended the South Florida real estate boom, residents came together to mitigate their losses by incorporating the town. The town survived and grew. Today, it boasts a strong economic backing and extensive infrastructure that serve its diverse population well. Its cultural festivals, citizenship classes, trolley system, aquatics center, and new tuition-free charter school demonstrate how the people of this community continue to come together and thrive. Unfortunately, walking through this vibrant community exposes residents and visitors to ample slip and fall hazards that can cause serious injury. If you are hurt in an accident involving a slip, trip, or fall, you should discuss with one of our North Miami Beach slip and fall lawyers as soon as you can. What Should I Do After a Slip and Fall Accident in North Miami? Next, you should consult with an attorney who is experienced in handling slip and fall claims. He or she will identify who is at fault for the accident and negotiate with the insurance company. This process may include proving to the insurance company that their client was, in fact, at fault. It also includes the complicated process of determining the value of your claim. Insurance adjusters are tasked with paying as little as possible on as few claims as possible. Often, an insurance company will claim that your medical treatment was unnecessary or excessive, and attempt to get out of paying those costs. A slip and fall attorney in North Miami Beach will protect your financial interests by ensuring that all of your medical bills are paid, and that you are fairly compensated for your pain and suffering. Who is Legally Responsible for a North Miami Slip & Fall Accident? There are many ways a person can be found legally responsible (“liable”) for causing a slip and fall accident. Business owners, store managers, and other shopkeepers are liable for maintaining their store premises. This imposes a duty to inspect the premises and keep them safe for customers, because they have invited the public into their store for the purpose of conducting business. This is a high standard of care. In some cases, courts have even found storeowners liable for the damages caused by foreseeable crimes in high-risk neighborhoods. Homeowners are liable for warning guests of hidden dangers on the property. This means that, if you are injured by a danger on the property that was not easily discoverable, you many have a claim against the residents’ homeowners insurance policy. Cities and other municipalities have taken on responsibility for the public properties they maintain. Their standard of care is not as high as a business owner, and many public entities enjoy certain immunities from premises liability claims. Nonetheless, it is possible for a city to be held liable for injuries sustained by its negligence. This is especially true when city property contains hazardous materials, or the city’s actions are otherwise particularly hazardous. 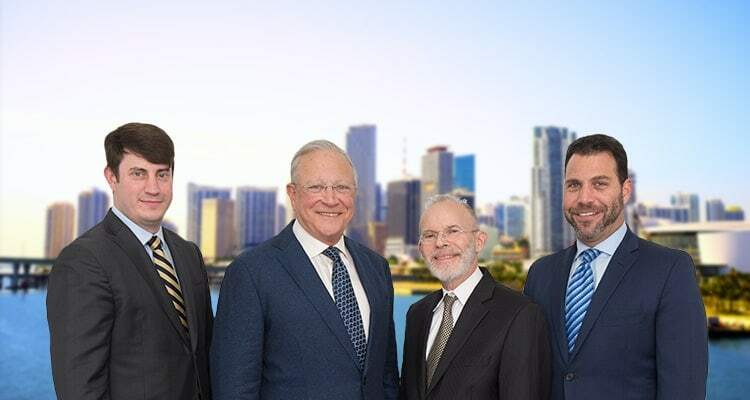 The Miami personal injury lawyers of Gerson & Schwartz, P.A. have over 46 years of experience protecting the rights of slip and fall accident victims. Call our office today at (305) 371-6000 or call us toll free at (877) 475-2905 to schedule your free consultation with an experienced attorney. You can also email us through our online contact form. Our professional, personalized service will protect your right to recovery after any kind of accident.